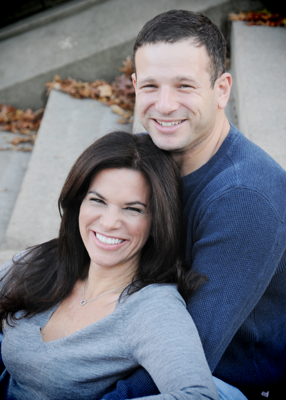 Michelle Frankel is a certified matchmaker, dating coach and relationship expert. As an established authority on dating, flirting and relationships, Michelle has appeared in numerous media outlets, including major television network news shows. She’s worked for one of the largest Jewish online dating companies in the country and is an online dating expert. Michelle is a member of two professional matchmaking organizations, the Matchmaking Institute and the Matchmaker Alliance. Michelle graduated from Washington University in St. Louis and earned her law degree from George Washington University. Years of diverse professional experience give Michelle a strong foundation in networking, communications and a wide range of relationship-building skills. A passion for connecting people led Michelle to leave the legal profession behind, follow her heart and enter the world of matchmaking. She founded Jewish Match NYC with the simple goal of helping others find love. Jewish Match NYC has become a premier Jewish matchmaking service for both men and women searching for attractive, educated, intelligent, commitment-minded Jewish singles. I understand how difficult and frustrating it can be to find that special someone. It doesn’t seem so long ago that I was single and starting to feel fed up with the search. I survived set-ups, singles outings and the wilds of online dating. I even wrote a dating column as part of my quest to find the perfect partner. It was emotionally exhausting and looking for the right person felt like a second (and third) job! Finally, in my late thirties, I made dating my number one priority and in a New York minute—actually, six months after our first date in Central Park—my fairy tale came true when the love of my life proposed! Now as a family, we continue to frequent our favorite park with our precious baby girl. After realizing my own romantic dreams, I was inspired to create Jewish Match NYC with the goal of helping others make it safely through the dating mine field and live out their own “happily ever after! Copyright © 2012-2019 – Jewish Match, LLC. All rights reserved.